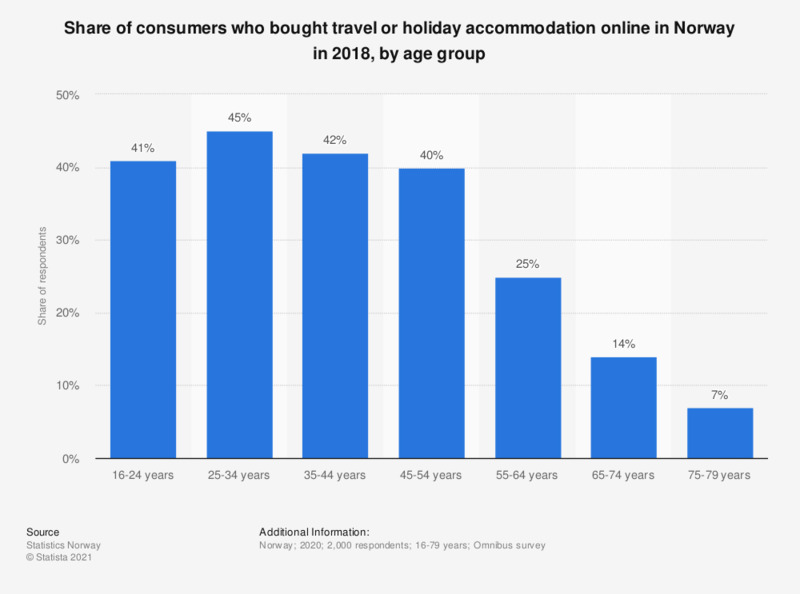 This statistic shows the share of consumers who bought travel or holiday accommodation online in Norway in 2017, by age group. During the time under consideration, 49 percent of the respondents in the age group 16-24 years had purchased travel or holiday accommodation online. In the age group 25-34 years, 71 percent of the respondents had bought travel or holiday accommodation online.